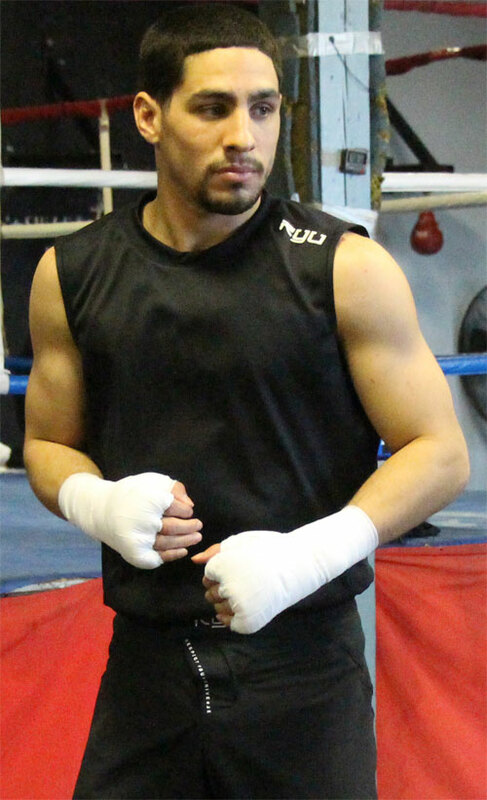 Danny Garcia is a young champion on top of the world. He won the junior welterweight title a little more than one year ago, and won and defended more 140-pound titles in subsequent 2012 fights. One of those fights was a star-making KO of Amir Khan. Garcia continued his reign in 2013 year with a tough brawl against veteran Zab Judah, and was put on the short list of possible opponents for P4P champ Floyd Mayweather. It was an amazing year. But now Garcia has something to lose. Many fighters in his position would start going into defensive mode to protect all that he's accomplished, and all the steadily growing paydays still on the way. On September 14th, Garcia will defend his crown against the most feared junior welterweight on the scene, Lucas Matthysse of Argentina. Most fighters are running from the hard-hitting and granite-jawed slugger, but not Garcia. Garcia wanted the fight, so Garcia asked for the fight. He simply wants to fight the best, in his quest to be the best fighter he can be. Garcia-Matthysse is the best possible junior welterweight fight to be made at the moment. In fact, it is so good that it is a bit surprising that it actually got made. Both fighters are on a roll and have much to lose. Both could be promoted in opposite directions, and tons of belts, wins, and money could easily be theirs. A loss for either fighter right now would stall their momentum, just as it was reaching its stride. Since he too has something to lose, Matthysse must be congratulated for fighting Garcia, but it is Garcia with more on the line September 14th. He is the champ and he is risking his titles and everything else against Matthysse. Although the match itself is more or less a pick-em fight, most of the opinion out there seems to lean toward Matthysse. Recent wins over DeMarcus Corley (TKO8), Humberto Soto (TKO5), Olusegun Ajose (TKO10), Mike Dallas (KO1), and especially Lamont Peterson (TKO3), have turned Matthysse into a fan favorite and raised his stock to almost mythic proportions. Matthysse is considered almost unbeatable by the average fan these days. 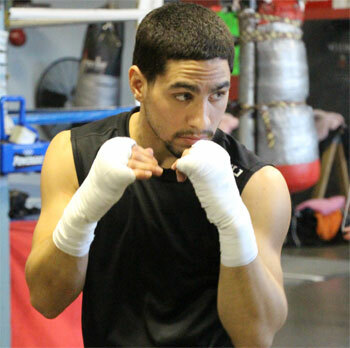 However, Danny Garcia spent most 2012 winning fights that most thought he couldn't. Especially in his shootout with Amir Khan, Garcia upended the odds and proved he had enough heart and skill to beat the big names in his division. When Garcia fought Judah, he was expected to win easily, but would up struggling down the stretch. Apparently this is the main reason opinion leans toward Matthysse. The fight with Matthysse will be Garcia's toughest match to date, no question about it. But Garcia has an excellent chance of keeping his titles on the big Mayweather-Alvarez undercard. Of course nothing is guaranteed, and that goes for Matthysse too. On paper the fight looks like it will be a slugfest. Both guys hit hard, especially with the left hook. So when they come together in the fight to determine the best junior welterweight in the world, it could be explosive. Regardless of the outcome, by taking the fight, Garcia is showing the boxing world what kind of champion he wants to be. His approach is the way it should be done. Danny is stepping up and facing the best contender out there and it is very refreshing to see it. Garcia knows that to be the best, he has to fight the best, regardless of the risks. And that's exactly what he's doing. It's how a winner thinks. It's the right thing to do, and seems like the obvious thing to do, but these days it's a rarity for a young champ to think and act so old school. September 14th will be an exciting night, and for me, it can't come soon enough.